Get ready for the future with MOTOROLA XOOM, the world's first tablet with a dual core processor and Android 3.0 (Honeycomb) - powerful Google software with an interface developed specifically for tablet computers. MOTOROLA XOOM features Google's new services for music, books, apps and video. Watch full-length films in 1080p HD on a crisp and clear 10.1-inch widescreen display. It also supports Adobe® Flash® Player, so you will be able to surf the web without restraint. And you'll do it all faster than ever before. It's your life, M Powered. Motorola XOOM is uniquely equipped to support an always evolving tablet experience. Offering 3G wireless access, and powered by a dual core processor with each core running at 1 GHz, delivering up to two GHz of processing power, Motorola XOOM delivers performance that's twice as fast at web browsing as the leading competitor on the market today. Thin, light and powerful, it's easy to hold, easy on the eyes and goes anywhere you do with the connectivity and performance to support the latest features, software and functions as soon as they're released. Motorola XOOM is the first tablet to feature the latest Google Mobile innovations, including Google Maps 5.0 with 3D interaction, access to over 3 million Google eBooks and Google Talk with video and voice chat. And as a gamer, you can experience Motorola XOOM's rich graphics at lightning-fast speeds with games that leverage the built-in gyroscope and accelerometer. 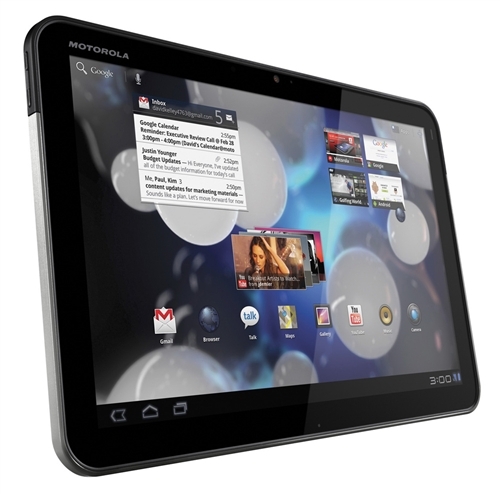 Motorola XOOM lets you stay connected to work from anywhere through the 3G network. You can check personal or Exchange corporate email, view calendars and even send meeting notices. Not to mention that information is brought straight to your home screen with live, scrollable widgets. Open documents, spreadsheets and presentations, edit them on a virtual QWERTY or the Motorola Bluetooth Wireless keyboard, and send them back lightning fast. 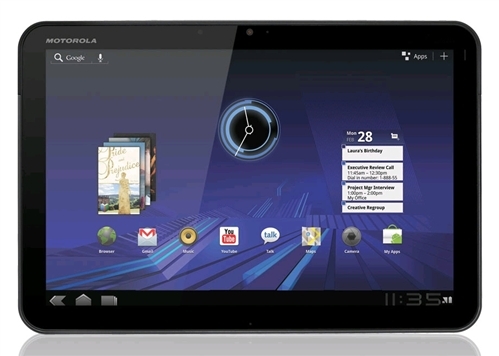 Motorola XOOM has a wide range of accessories to expand its power and capabilities. The "smart docks" are no longer just a place to charge your device; they make Motorola XOOM a portable play and work station that fits your lifestyle. The Standard Dock can be used for watching video content or listening to music through external speakers as the device charges. The Speaker HD Dock allows you to send HD content directly to your TV or blast your tunes without attaching external speakers. 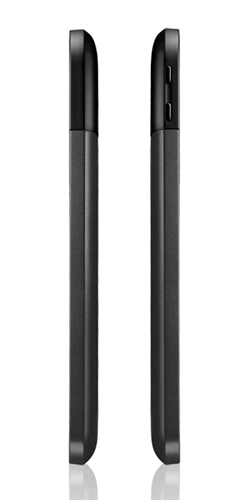 Motorola XOOM is ready to document your adventures. It includes a rear-facing 5 megapixel camera with flash that captures video in 720p HD. View and edit your photos and video immediately, then display them on the 10.1" HD screen or on any HDTV with HDMI connectivity. Post your creations straight to YouTube, Picasa, and Facebook® or engage with friends and family through Motorola XOOM's front-facing 2 megapixel camera designed for video calling.